Celebrating 80 years of Alcoholics Anonymous. 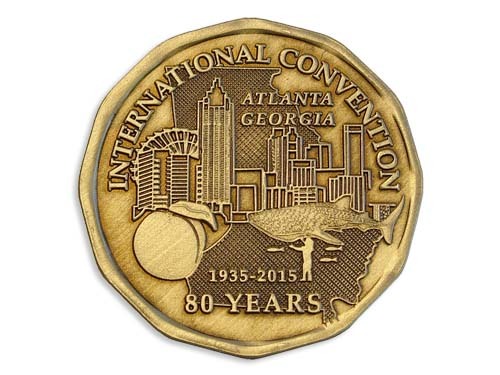 The International Convention of AA was held in Atlanta, GA, USA. This beautiful, 12 sided, bronze medallion was created especially for the momentous event. It is beautifully antiqued and is a lovely keepsake coin celebrating 80 years of Alcoholics Anonymous. 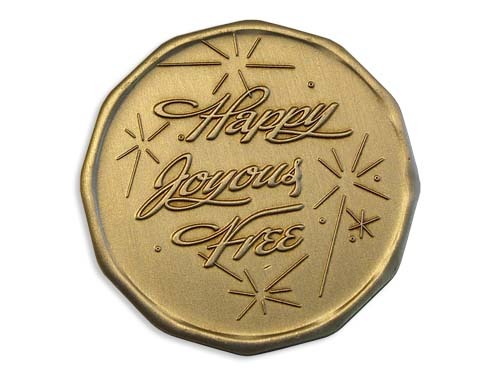 The obverse of this bronze token features the event theme; "Happy, Joyous, and Free." Each exquisitely minted antiqued bronze medallion will last a life time! Treasure these special chips for years or pass them along to those in your recovery family. I buy this medallion birthday present for my friend. He and she very very pleased this one.